Forget fall; it’s springtime all over again at our Operations Centre. Spring the kitten, that is. This little feline has been getting her fair share of attention here at Ops, with playtime and cuddles galore. Sweet Spring’s mom was one of the many cats in Vancouver who aren’t spayed or neutered, leading to a lot of unwanted kittens for her owner. 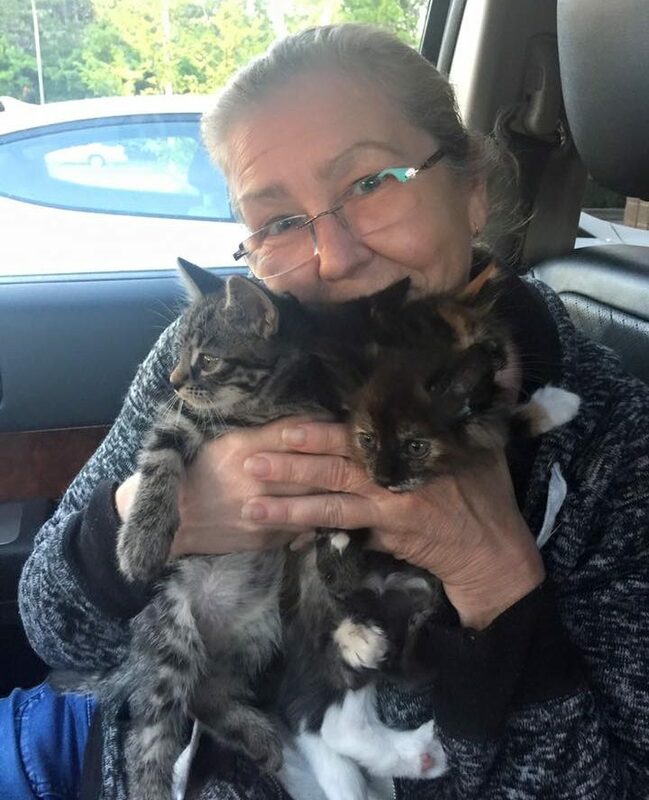 VOKRA staff and volunteers helped to spay Spring’s mom, and they’re now working hard to get Spring and her brothers and sisters ready for forever homes. 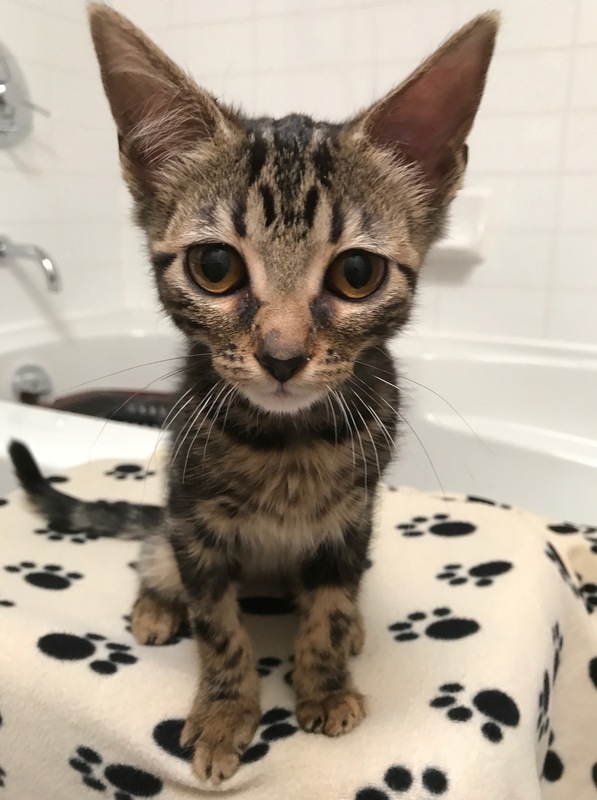 With her big amber eyes and attractive Bengal-like brown and yellow markings, Spring’s sure to be a hit when it comes time for her to be adopted. But there’s a problem. Spring’s the runt of the litter and she’s been having organ troubles. Her kidneys in particular show some congenital difficulties. Not so long ago, Spring was really nauseated and couldn’t pee or eat. Everyone at Ops spent a lot of time helping with her treatments and giving her some much-needed love. Right now Spring’s back to her regular self. She loves to chase plastic ball toys around her kennel and afterwards scratch her small nails on her cardboard ramp or snuggle up to her many admirers. 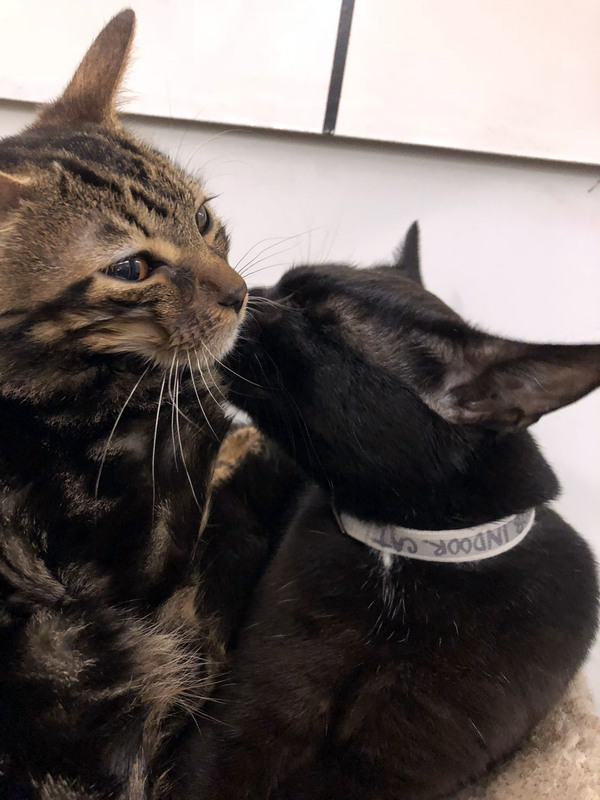 As a no-kill rescue, our volunteers strive to give a fighting change to every cat, including kittens like Spring, whose health problems could have led to her euthanization at other centres. Everyone at Ops is hoping for a long and happy life for little Spring, with a loving friend to take care of her. There may be some colder weather ahead for this tiny kitten as she may still need some special care. But we’re all in her corner and won’t let her down. Kittens like Spring are just one of the thousands of reasons why we Walk for the Kitties. 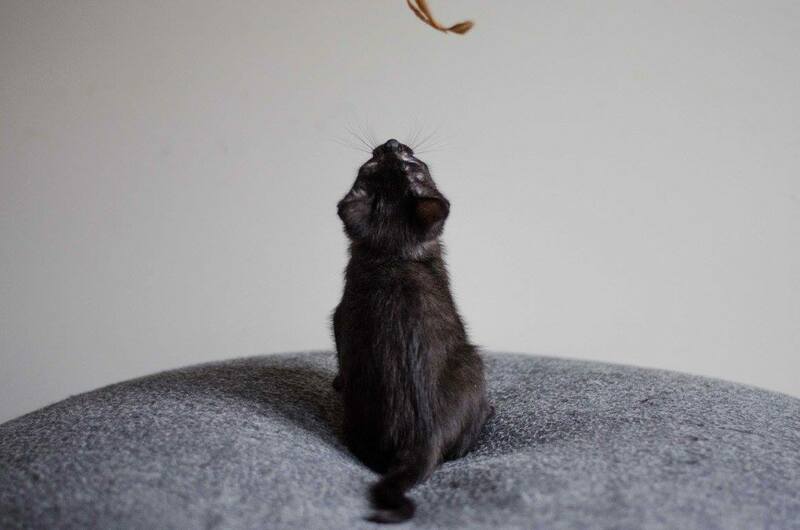 Oshi’s a tiny kitten with a big heart. 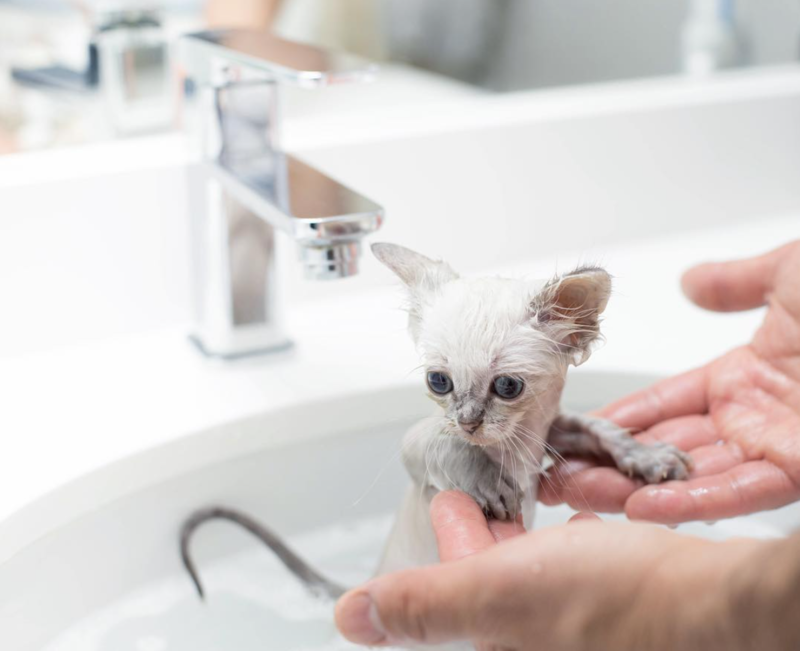 He was born the smallest of his litter and was discovered living outside with his siblings. They were all very thin when they were rescued so the first task was to try and fatten them up. All the kittens quickly transitioned to eating out of bowls, but not Oshi. 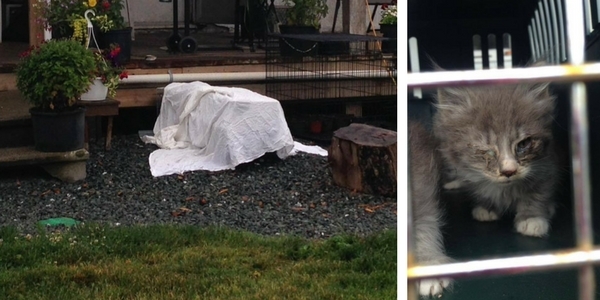 If Oshi hadn’t been rescued it’s almost certain he wouldn’t have survived on his own. Kittens like Oshi are just one of the thousands of reasons why we Walk for the Kitties. Please help us help kitties like Oshi this September 16 by joining us for Walk for the Kitties, presented by FirstMate. Want more Oshi? You can follow him on Instagram at @DailyDoseOfOshi. At VOKRA our mission is to end cat overpopulation and homelessness. 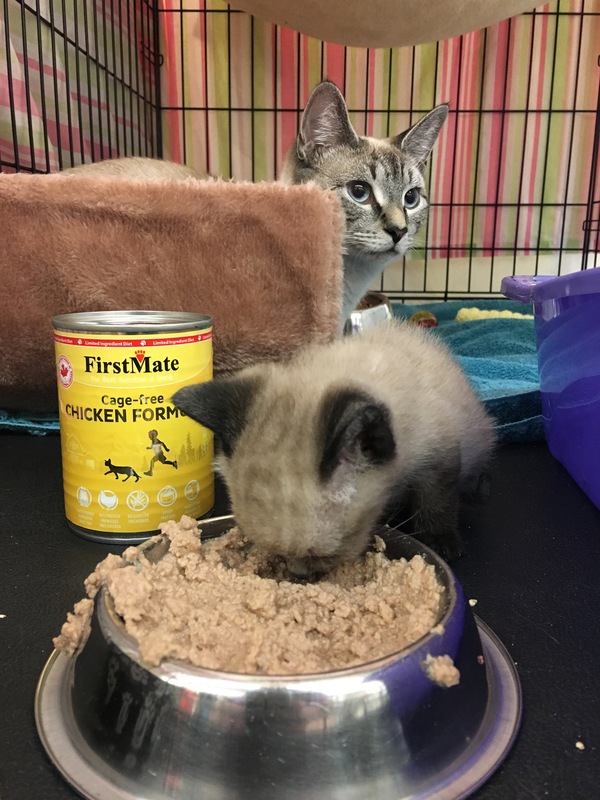 One of the ways we’re helping accomplish this is through to Trap-Neuter-Return (TNR), the process of trapping feral cats, spaying or neutering them, and then returning them to the location they came from. 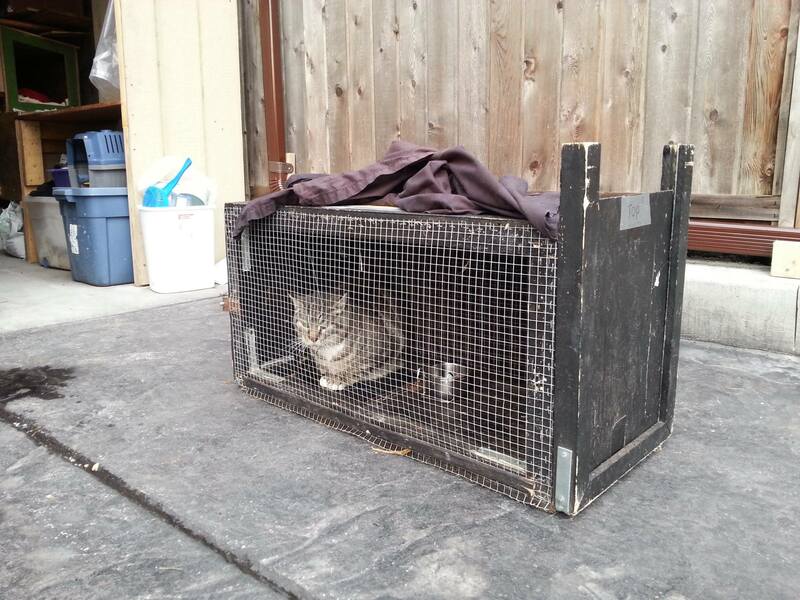 We’ve seen a lot of success with TNR, but much of our time is actually spent on trapping tame strays. 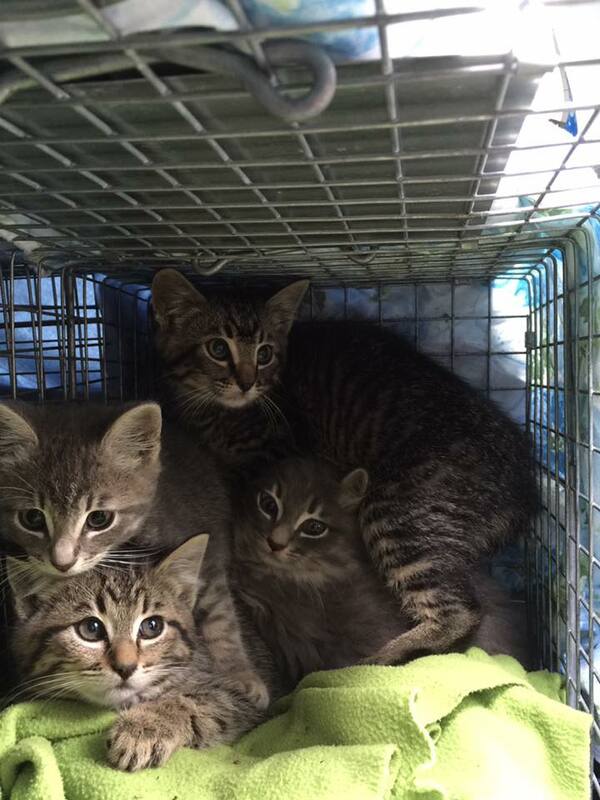 Trapping these cats and kittens is the first step towards finding them their furever homes. When we receive information about a stray cat, we find out as much information as we can to help us determine the best way to trap. 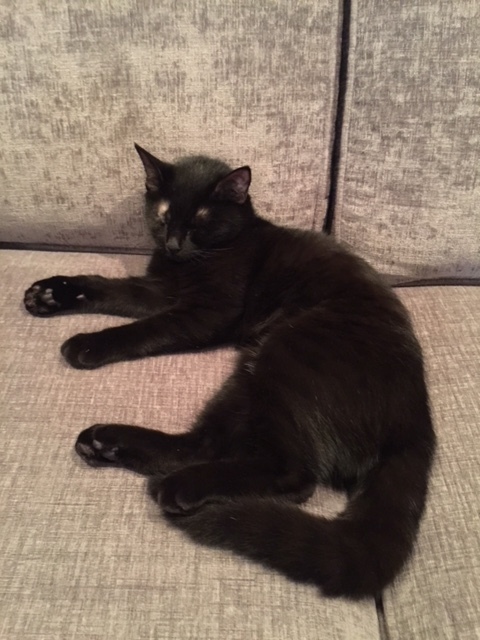 We take into account how long the cat(s) has been hanging around and their lingering behaviour – are they coming at a specific time or are they around all the time? It’s important to know if they’re being fed or eating as well. Getting to know as much about the cats as possible is key to making a quick and successful trap. 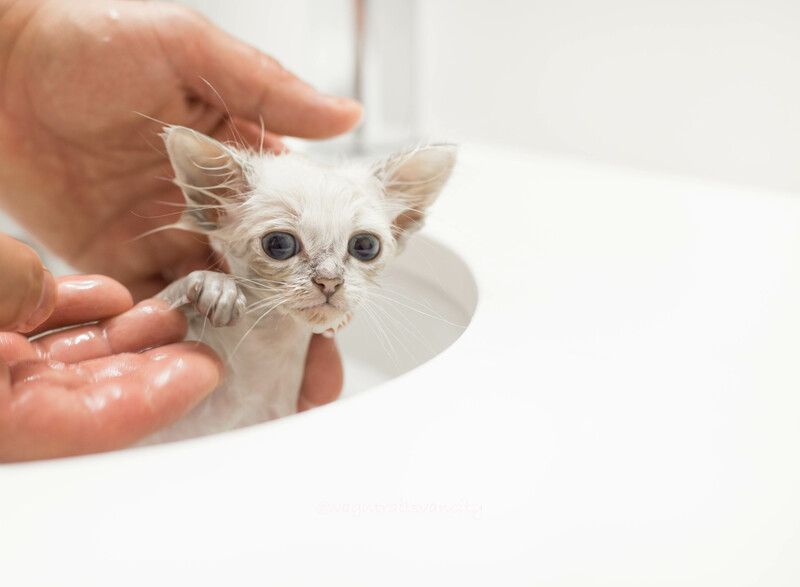 Behaviours such as skittishness or curiosity help us determine the correct method. At times, it’s as easy as coaxing the cat into a carrier. Other times, setting up a trap is the only way. Traps are usually set up where the cat is being fed and include fresh tuna at the back of the trap. With feral cats, they’re taken to the vet for sedation and spay/neuter, vaccinations, ear and dental cleaning and flea treatment. They recover at our Operations Centre and are then taken back to their original location. The individual who called about the cat will be provided with food and any follow-up care. With tame cats, after they’re trapped they’re taken to our Operations Centre where we check for a microchip or tattoo. We deflea, deworm and vaccinate these kitties and have blood tests, urinalysis and teeth cleaning completed if they’re more than five years old. 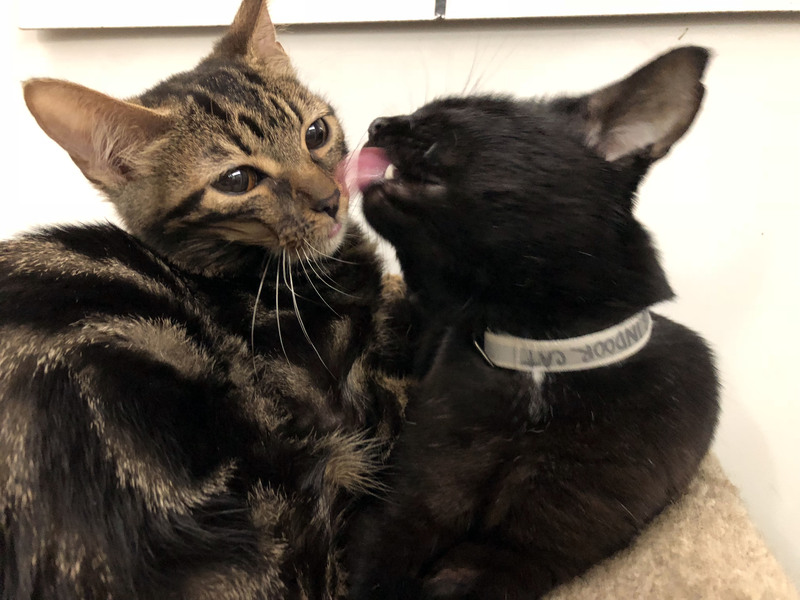 These tame cats are then ready for a foster home and, when they’re ready, will go up for adoption. This is “Woody”, trapper Janet Cox‘s trusty wooden trap. She uses it to trap kitties who refuse to go into a metal trap. It always works like a charm! It may seem feral cats could be more problematic than tame strays, but it’s just as important to trap these tame cats. Owned cats get lost and abandoned, which is a painful situation. 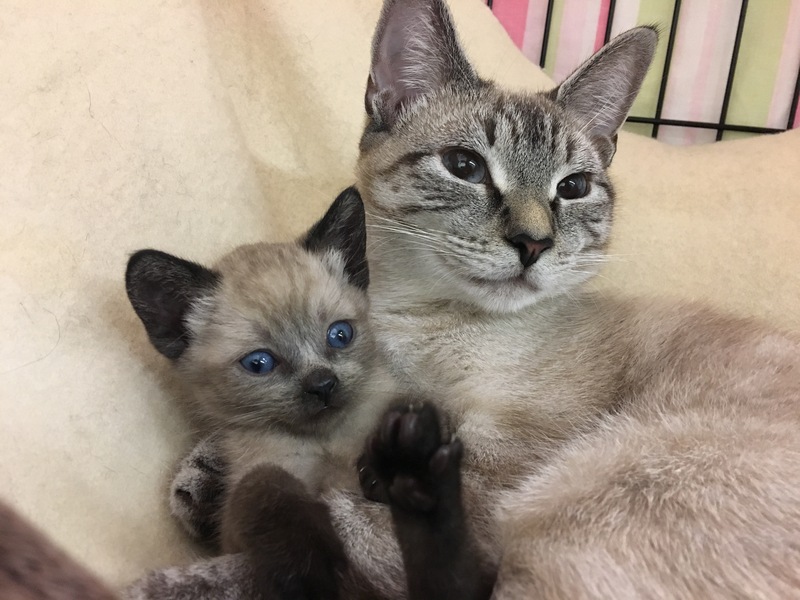 If they aren’t fixed, they breed and female cats will usually give birth to their kittens outside or under garages, or amongst junk in a yard. These kittens will then grow up unsocialized by humans and grow into feral cats. If these kittens are also not spay/neutered, the cycle repeats itself and soon a feral colony will be formed. This is why it’s important for cat owners to spay and neuter their cats by five months old, and for the public to call us if they suspect a tame or feral stray who hasn’t been fixed is lingering around their neighbourhood. Dedicated Surrey volunteers and trappers, Anne Salomon and Mona Boucher know all the tricks to trapping. Maria will a mitt-full of kittens trapped by Anne. 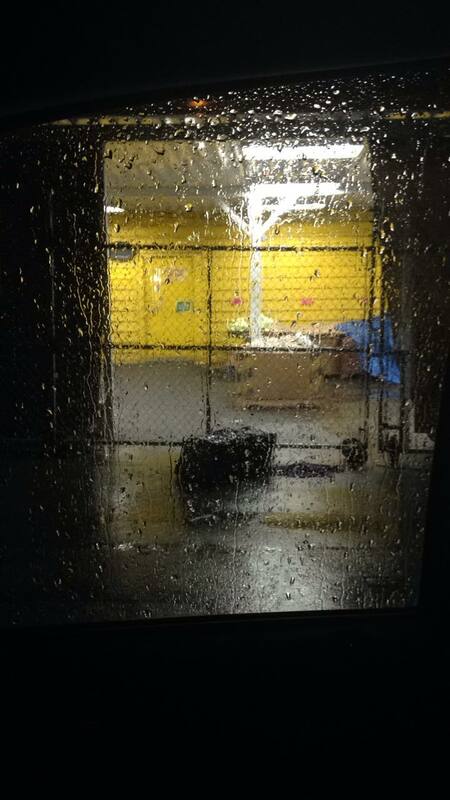 5:30 a.m. – Maria’s view as she waits patiently for some kittens, who were dumped in a back alley. to decide to go into the trap. Trapping isn’t an easy job, as we can all now see. It requires dedication and commitment to VOKRA’s mission. The trapping of tame strays is especially important as they have socialized with humans before, making them adoptable into a furever home. However, furever homes can’t exist if we don’t have pet-friendly housing. Global BC covers the issue here, making it clear our housing issues are a big cause for the loss of homes and families for too many pets. Sign the Pets OK BC petition here to help make a difference. 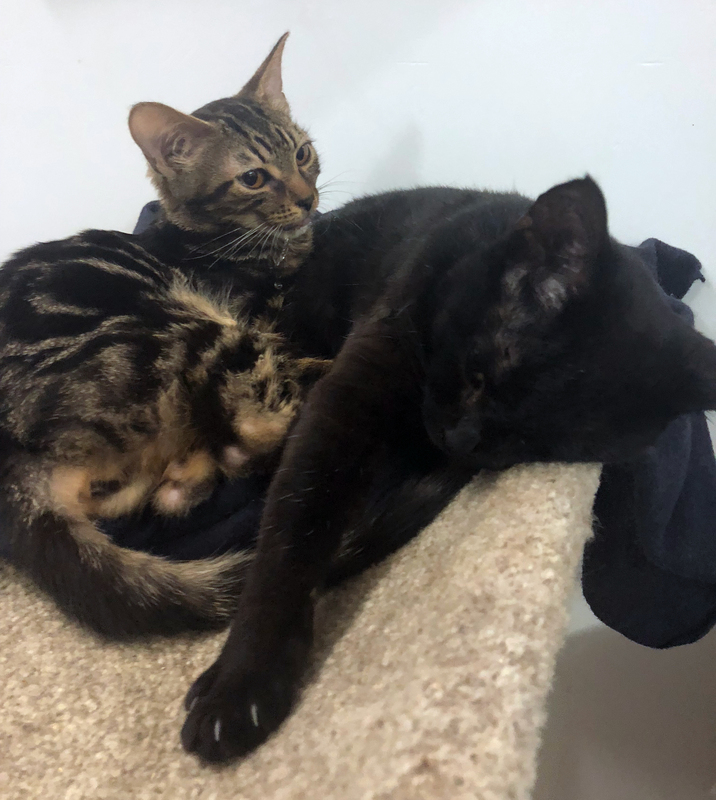 Our trapping efforts are rendered useless if these kitties have less and less places to go once they’re ready for adoption. Thank you to all our volunteer trappers who spend hours and hours watching over traps – be it sunshine or rain, day or night. Due to your efforts thousands of kitties have been taken off the streets and now have homes to call their own! A mama and four kittens were trapped from under this porch. All the kittens had eye infections, but it was their lucky day. They were transferred to our Operations Centre for assessment and then onto foster care where they received daily treatment. Today mom and kittens are all healthy and have been adopted into loving homes. 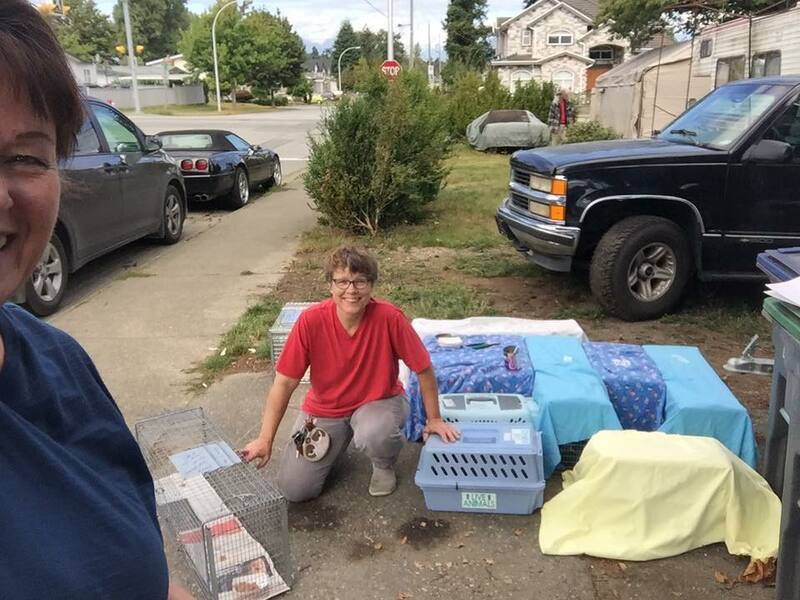 Every day the dedicated volunteers of VOKRA go to great lengths to save the lives of homeless cats and kittens from around the Lower Mainland. Little Hazel is one such kitten who may not be here today were it not for our care. 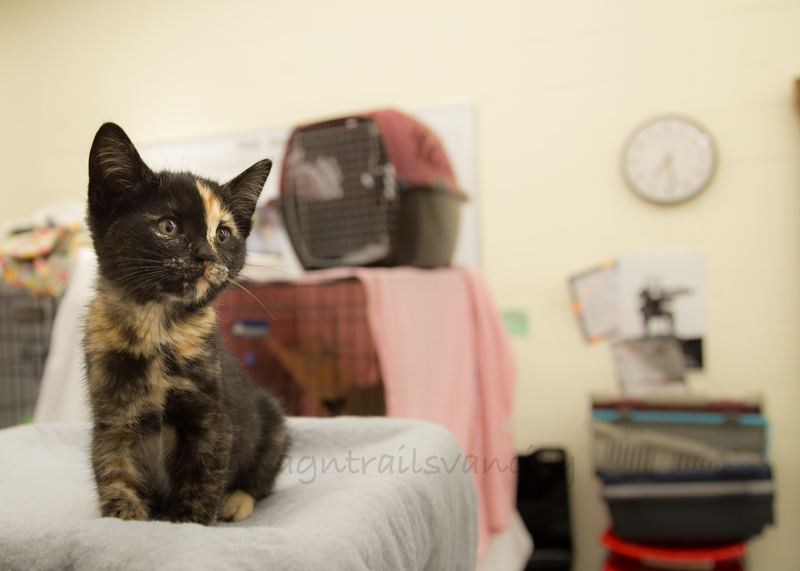 Hazel was born to a semi-feral mom who had recently been brought in to our Operations Centre. 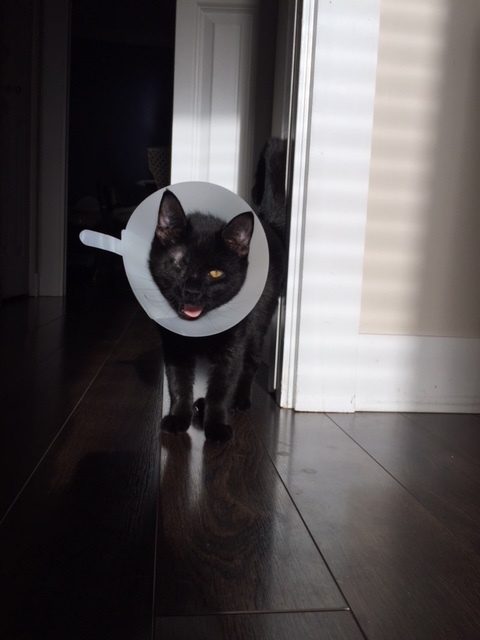 Not only was she the smallest kitten in the litter, she was born with one eye swollen shut. It turned out poor Hazel was born with an eye infection, resulting in ongoing issues with pain and poor vision in her eye. Hazel didn’t let her vision limitations slow her down though. She played, tumbled and chased her siblings around just like any other kitten. During one particularly active play session, Hazel’s weak eye was damaged and she was rushed to an emergency vet. It was discovered her weak eye was acting as a foreign body and had no chance of recovery, so it would eventually need to be removed. 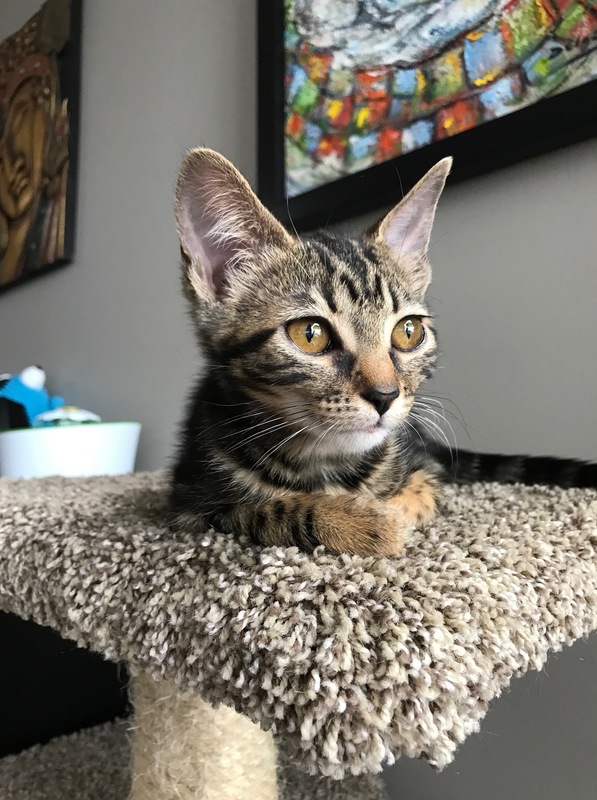 As the months passed by, all Hazel’s brothers and sisters were adopted while Hazel struggled with recurring infections, leading to her eye being removed at four months old. Unfortunately, her health problems continued and she returned for a second surgery. After two surgeries, two dewormings, four rounds of antibiotics and many more vet trips, Hazel continues to be a loving, intelligent, playful and overall adorable little ball of fluff. 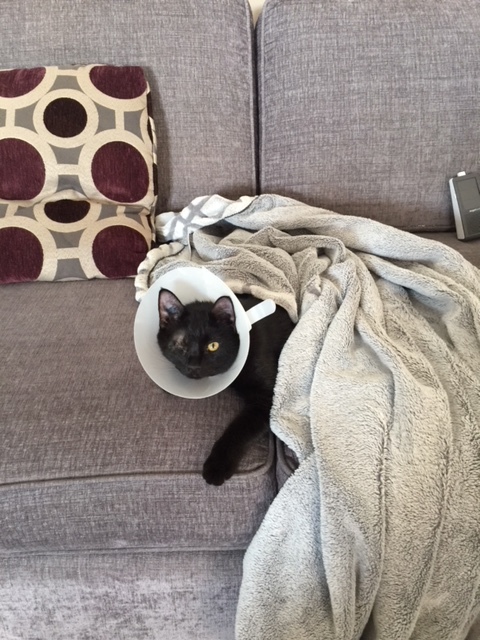 She’s so resilient that even two months of living with a cone around her head hasn’t slowed her down. Happily Hazel will be available for adoption in the coming weeks. She’s a spirited little trooper who will be make some lucky family very happy. If you have room in your heart and home for little Hazel, keep an eye out for her on our ready-to-adopt page. 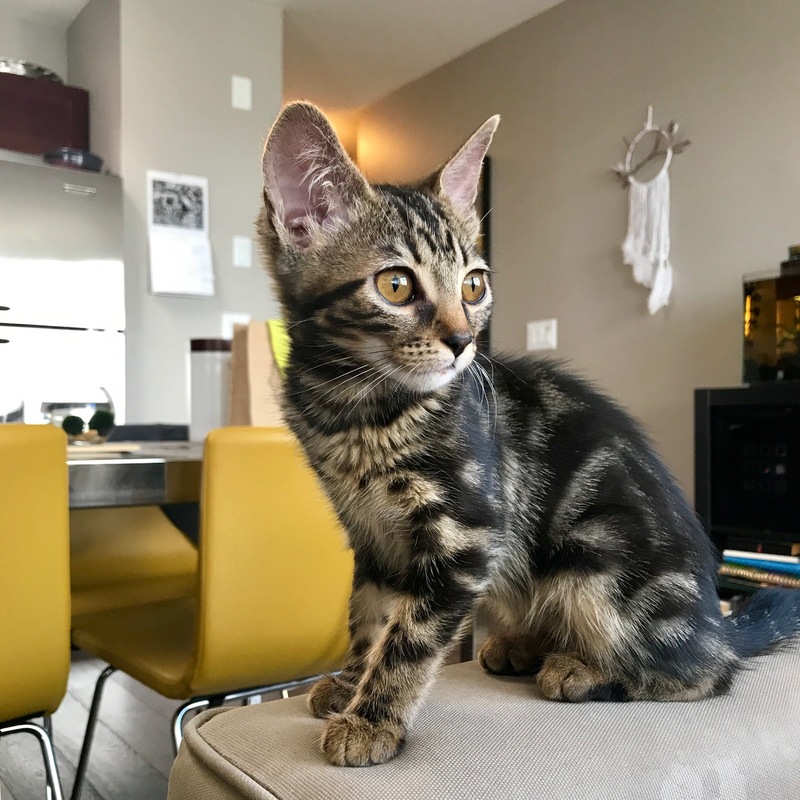 And if you’d like to help us pay for Hazel’s medical treatment, as well as the veterinary cost for all the other special kitties in our care, you can donate today at givetovokra.ca.